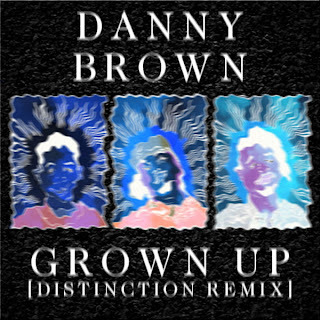 Although Danny Brown's collection of tunes is pretty impressive and there are ton of fan favorites, "Grown Up" seems to be the more popular one and the song that gets remixed the most. So far the remixes we've heard have been really good and London based producer Distinction fits into that group. The song premiered earlier on Pigeons & Planes and it features more pulsing bass with more keys. Distinction managed to turn this track into something new while retaining that Danny Brown charm. Listen and download below.